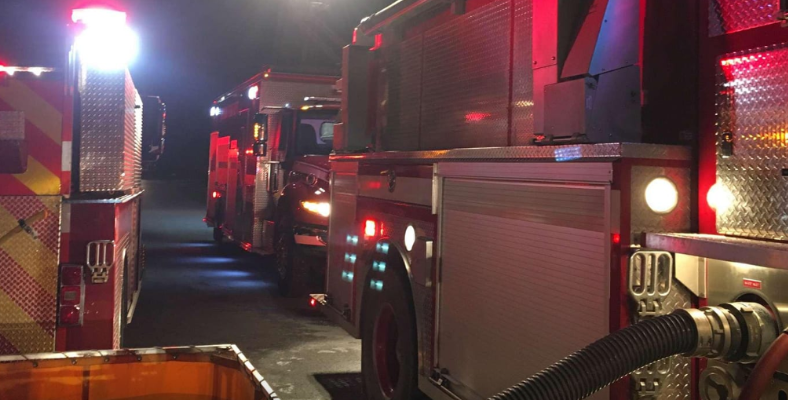 Damage is estimated at $400,000 following a fire at a large drive shed in Brooke-Alvinston on the weekend. Fire crews were called to a farm on Conservation Road at about 6:30 p.m. Saturday. Chief Jeff McArthur said a 40 foot by 70 foot building was fully engulfed in flames when firefighters arrived. He said the contents of the shed, including a combine, tractors, and wagons were destroyed. The blaze was put out after several hours, and firefighters were able to prevent it from spreading to neighbouring buildings. Brooke fire crews from Alvinston and Inwood got help from the Watford-Glencoe and Kerwood fire departments. –With files from Mark Brown.